We now are Sold Out! About this year's blend: the Maurino variety came first and it adds a nice component to the olio nuovo blend. It has lovely spicy floral characteristic that brings balance to the finished oil. We harvested for the first time from our new groves the Leccino variety we planted 4 years ago where we hand-picked and pressed within 3 hours…it made an assertive, bright, green, spicy oil as would be expected from young trees. Finally, we added some of the "venerable" Frantoio variety which lends the classic artichoke and grassy robustness plus the "kick" that people have come to expect from an authentic new oil. P.S. 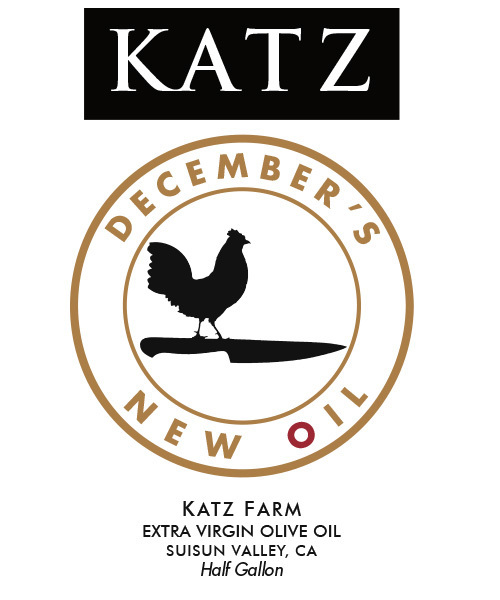 This freshly milled olive oil is meant to be used without delay and with GUSTO! Look for this again in Fall of 2019!